Altify has announced a new integration app for the Salesforce Quip platform. 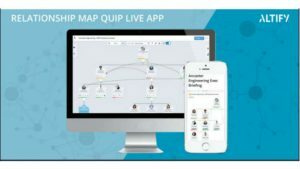 Entitled Altify Relationship Map Quip Live App it enables Quip users to bring in relationship maps from Altify into a Quip document. The App is free to users of Quip and Altify and brings one of the key components of Altify into the Salesforce office automation tool. Understanding the relationship is a key part of the sales cycle and Altify allows account executives to map people within buyer organisations as part of the selling process. The integration with Quip will enable them to embed those maps direct into documents such as taxi reports or executive briefings for other members of the team. This enables the wider use of the relationship map as part of sales engagement without the need for users to access Altify. Lucidchart: Lucidchart diagrams for Quip allows users to add flowcharts and other diagrams to Quip. Smartsheet: Smartsheet Live App for Quip enables the embedding of smartsheet dashboards and sheets within Quip. draw.io: draw.io for Quip enables users to add diagrams created within draw.io to be embedded within Quip. TaskRay: TaskRay Quip Live app brings the power of project management into Quip. The app enables users to add project status reports and project details. It also allows two-way integration such as time tracking, both the viewing of and updating from within the Quip document. Vidyard: Vidyard GoVideo for Quip allows users to embed video into Quip. Specific points in videos can be timestamped and highlighted. GoVideo enables users to record themselves or their screens. With the new integration users can add demonstrations or tag specific elements of longer videos within documents. As these integrations increase, companies will consider whether they should continue to use Microsoft Office or switch to Quip. There are still a lot of integrations yet to be announced and completed. Once use cases and the business benefits are realised from these integrations, organisations will start to take note. 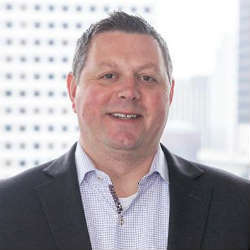 For Altify, whose customers include Autodesk, HPE, Johnson Controls, Salesforce and Software AG, this is an important integration. The sales teams that use their software have already replaced account tracking spreadsheets with its software. This makes the implementation and associated cost savings of implementing Quip a little closer. What about future enhancements though? Will Altify allow other components to be embedded within Quip? Neither the press release nor the AppExchange information infer that further integrations will come.